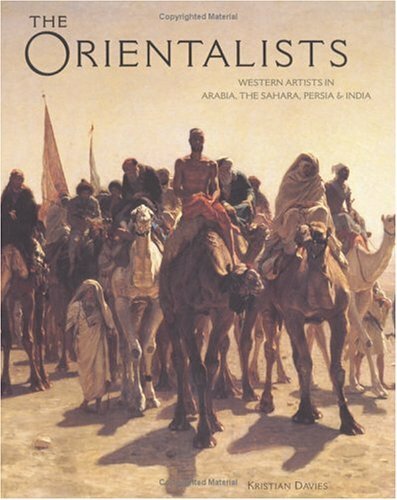 This is a high-quality art book, which features over three hundred superb images of nineteenth century "Orientalist" paintings, many of which have rarely been seen before The delights and wonders of the Orient stretch from Morocco to India. Many late nineteenth century artists from America and every country in Europe travelled to North Africa, the Holy Land, Persia and India; their fascination with the world of Islam and the ancient cultures that flourished in these countries was preserved by their paintings of the vast cities and peoples they encountered. Their works influenced western architecture, literature, music and fashion. This group of painters, are now known collectively as "Orientalists". In their work they captured a world that was soon to change for ever as cultures collided and modern ideas changed most of the known world. The artists managed to capture the dignity of faces, and the powerful colour and beauty of the architecture, calligraphy and clothing, but also the brutality of poverty and the tragic outcomes of violence in these regions. The paintings were hugely popular in their time and were to have a great influence on early film-makers like D.W. Griffith and their recreations of ancient Babylon and Biblical times. Their paintings have even influenced our contemporary visual arts, and echoes of them can be seen in films such as "Lawrence of Arabia" and even the "Star Wars" series. The images reproduced so well in this book have been collected from forty-five different institutions in seven different countries. This genre of painting has become less popular in recent years and as a result, many of them have rarely been exhibited since they were created a century or more ago. The author, Kristian Davies, who has both travelled and lived in many of the countries featured in the paintings, approaches the subject afresh with an aim to revisit, redefine and renew interest in the forgotten masterpieces. Each featured painting is shown in full, often with a close-up of details. The paintings are magnificent in their subjects, composition, colour and richness, but mainly in their truly amazing attention to detail, which leaps from the pages. The paintings, and the accompanying commentary, bring to life and customs of this extraordinary part of the world. The text is intended for the general reader and explores such subjects as deserts and pilgrimages, villages and bazaars, faith and spirituality, and the West’s enduring fascination with the harem and hookah (or shisha pipe). In a book full of stunning images, one, for example by French artist Jean Lecomte du Nouy (1842-1923) shows an old man with a shisha pipe in the doorway of an elaborate building. The detail is astonishing, down to a faded tattoo on the man’s arm. Not surprisingly, Egypt features in this book and there are scenes that visitors to Egypt will recognize, from Abu Simbel to mosques and representations of the death of Cleopatra. Most importantly and interestingly, the scenes not actually set in Egypt (probably the bulk of the book) are equally fascinating. The art and culture of Islam cuts across national boundaries and the wonderful scenes of markets and house interiors could be in Cairo, or Constantinople. If AE readers have visited the Islamic monuments and houses of Cairo, seeing many of these images will make then truly come to life. This book is a gem, a unique, indispensable reference work, for which the author and publisher deserve to be congratulated. It will be of interest to lovers of both fine arts and illustration, to readers of history, movie fans and travellers alike. For those who love Egypt and its more modern cultures as well as the antiquities, then this book will add a new dimension to their vision of a now-lost way of life. 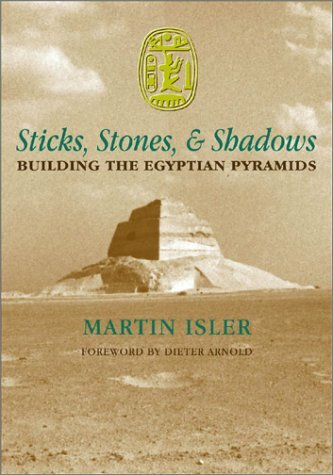 Despite the sub-title, Martin Isler does not limit this exploration of ancient surveying and building just to Egypt, but includes interesting excursions throughout the book to other parts of the world, including China, Mexico, Mesopotamia and Ireland. In the first part of the book, Isler explores the fascination that early cultures had with the sun and the methods they adopted to use its shadows in early surveying and timekeeping. He then charts a range of emergent technologies, including the development of building in Early Dynastic Egypt, to illustrate his strongly-held view that the Egyptians, like many cultures, used the sun as the principal means of setting out and orientation. It is in the longer, second part of the book that Isler gets to grips with pyramid-building proper. His experience as a sculptor provides valuable insight into the methods he himself has employed when handling large blocks of stone and he has evidently taken great pains to think through the many practical problems associated with building the pyramids. His various chapters address preparation of the site, quarrying, hauling and moving blocks and, of course, raising the blocks so that they could be incorporated into the growing pyramid. Isler is not an advocate of ramps and suggests a number of techniques that could possibly be used as an alternative. On the way, Isler also looks at a number of the ceremonial staffs used in ancient Egypt, suggesting that many of these staffs have their origin in construction-related activities. Any author that takes on such a wide-ranging topic as this has at least two major problems to overcome: not only is there so much material to cover, there is also the issue that, although many building techniques are relatively simple to carry out, they are not as easy to describe in words. Although some sections of Isler’s text are a little difficult to follow, the many illustrations that accompany the text greatly help the reader’s understanding. In all, this is a very useful addition to the genre of books that address pyramid-building. It is the sheer range of problems that need to be solved, though, that inevitably will limit what can be achieved in any book like this and whilst Isler provides very plausible answers to a range of problems, thankfully he still leaves plenty for the rest of us to work at! Published by the University of Oklahoma. 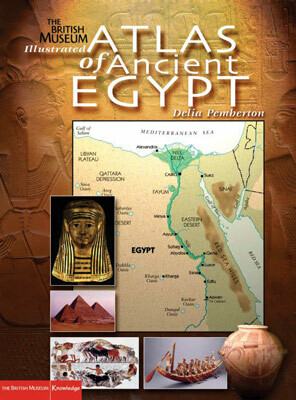 Whilst not the first European to visit Egypt, Denon was one of the earliest. 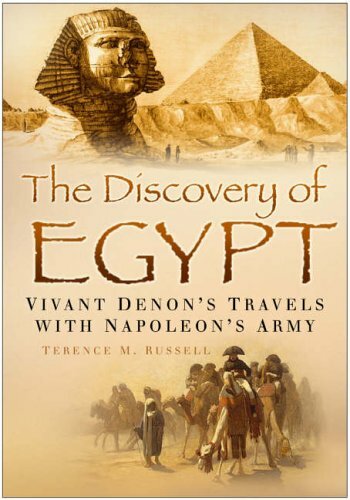 His account of his travels is both a valuable and informative record of Napoleon’s conquest of Egypt, but also the first real glimpse of Egypt and its antiquities seen by the Western world. Denon set sail for Egypt with Napoleon and his army in 1798. Managing to avoid the British fleet in the Mediterranean, the French captured the island of Malta on the way to Egypt. Napoleon then stormed and took Alexandria and marched south to Cairo, where after a battle in sight of the Pyramids, the Mamaluke army was defeated and the city captured. Nelson’s defeat of the French fleet in the naval battle in Abukir bay marooned Napoleon in Egypt, along with his army and large group of scientists and artists, the savants of which Denon was one. Denon travelled with the invading army south through Egypt, meeting resistance all the way. Despite this, he managed to visit and draw many of the antiquities, often under enemy fire. Most of the main monuments we see today were visible to Denon, although they were all still deeplyburied under layers of sand and centuries of occupation. Denon reached as far south as Aswan and he was particularly impressed by the temples of Philae. The army moved at speed and Denon was constantly frustrated that he had so little time at the sites in which to draw and measure, and in some instances, excavate. On the return journey north, he was able to revisit the sites and he did spend more time, though nowhere as long as he would have liked: he was in Egypt for barely a year. Denon’s account is detailed and provides a real insight into the Egypt of this time. His drawings are particularly important, as several temples, such as those at Assuit and Hermopolis Magna no longer survive. Denon published his account of his travels in 1802, well before the publication of the monumental and more famous Description de l’Egypte (the full account of Napoleon’s team of experts) published in 1809. The author has chosen the extracts from Denon’s work well. Enriched with many contemporary illustrations (some by Denon himself), they show Denon as an adventurer, an excellent artist and a compulsive collector. He was one of the first visitors who can perhaps really claim to be an "Egyptologist", for he was keen to learn more about this fascinating country and to ensure that the information be available to others. It was Denon’s work that first brought Egypt to the attention of the European scholars and collectors. This book will be of great interest to anyone interested in the early years of Egyptology and especially to anyone interested in Napoleonic and military history. Kent Weeks has been working in Egypt, and in the Luxor area in particular, for over twenty years and knows the area better than most. This new guide book is a most welcome publication. It is profusely and superbly illustrated with photographs, maps, plans and drawings, and provides a practical and usable guide to all the temples, tombs and museums in the Luxor area. (It also includes the main sites visited from Luxor, such as Abydos, Dendera, Esna, Edfu and Kom Ombo). The book begins with a description of the geography and natural history of the Theban area, a history and chronology, an account of the archaeological finds and religion. The information, site by site, is concise and up-to-date. Nineteen tombs are described in the Valley of the Kings and a total of twenty-three private tombs in the Theban necropolis. (The list does include some tombs that are important, but which are not open to tourists, such as: Queen Nefertari, Sety I, Rameses II and Tomb 5 in the Valley of the Kings). Each entry gives a history of the site and general outline, before a detailed look, wall by all, in the case of the tombs, of the scenes carved and painted on them. On a visit to Egypt recently, I noticed that this book seemed to be almost flying off the shelves of the bookshops and was frequently seen being actually used by tourists. Anyone visiting Egypt for the first time will find this book invaluable, as will anyone who wants to "do their own thing" and perhaps not be with a tour guide. If you have visited the sites before, there is plenty in this book of interest and it will help you plan your next trip and make sure that nothing is missed. My only misgivings with the book are the odd spellings for some of the sites: Dayer Al Bahari and Dayer Al Medina instead of the more usually seen Deir el Bahri and Deir el Medina. This new spelling probably reflects the correct pronunciation of these modern names, but it is confusing for visitors. Also, the new extension to the Luxor Museum was not included; but this is an excellent book that will be around for a long time, and I am sure it will be the subject of regular revisions if needed. This is a second and revised edition of a title first published in 1989. 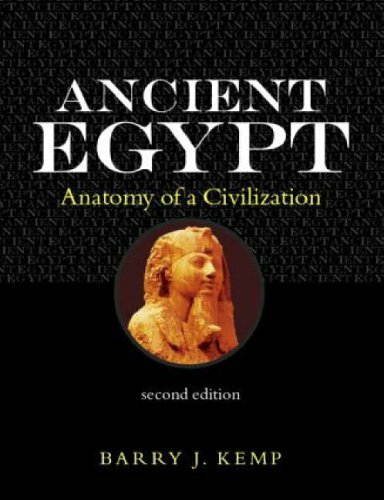 It rapidly became a best-seller in Egyptological titles and a recommended reference book for anyone studying ancient Egypt. The book seeks to identify what gave ancient Egypt its unique characteristics and longevity. In the fifteen years since the first edition, many new ideas have been put forward about the Egyptian civilisation, and excavations and research are always adding to our sum of knowledge and understanding. The revised edition includes new chapters on who, in ethnic terns, the ancient Egyptians were, and on the final ten centuries of the ancient Egyptian civilisation. The first edition of this book was an indispensable text for students of ancient Egypt and the general reader, and the revised edition is certain to be equally indispensable. It is clearly written and illustrated with many line drawings, plans, maps and photographs. Paperback, ISBN 0-415-23550-2, Price £20. Hardback, ISBN 0-415-23549-9, Price £55. For anyone interested in, or studying hieroglyphs, this little book will be an absolute must. 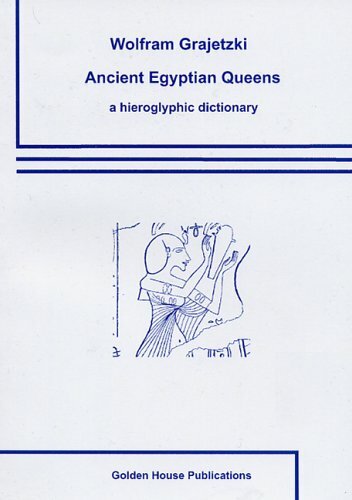 It is what it says on the cover, a dictionary of ancient Egyptian queens in chronological order. The author has included all the names he could find of women known to have been the wife of a king (although we know there are many who are as yet unidentified.) Each entry includes the name in hieroglyphs, a transliteration and a translation of the names and titles. The name of the husband (if known) is also included and a reference for the location of the names. A separate section lists all the female royal titles known and there is a good bibliography. With just one hundred and twenty packed pages, this book will, I have no doubt, become a useful reference book for many; it is small enough to take to Egypt and to museums, for those who wish to seek out and identify the names themselves. Published by Golden House Publications. The subject matter and indeed the price of this book indicate that it is aimed at the serious student or scholar. It is one of the many archaeological publications of the EES. The Falcon Complex and Catacombs at Saqqara were discovered only in 1969 and work has continued there ever since. The site is complex and the work to date will result in a series of reports, of which this is the first. It covers the discovery and excavation of the site and the many objects found there. With detailed plans, drawings and black-andwhite photographs of the site and objects, it is a well-produced and comprehensive report and will be a main reference work for anyone interested in the site in the future. 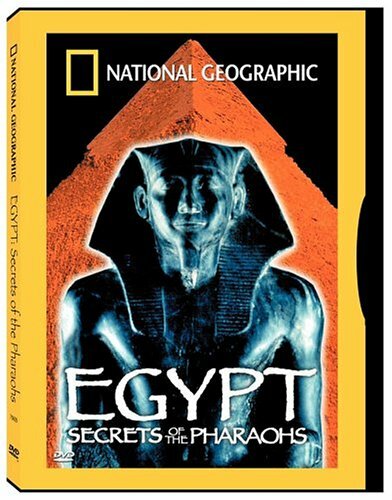 Any AE readers who have access to cable or satellite TV may well have already had the opportunity so see several programmes made by National Geographic on Egypt. These DVDs provide an opportunity for others to see the programmes and they have the distinct advantage of being advert-free! 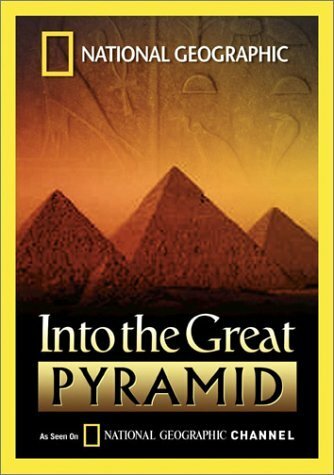 Into the Great Pyramid is based on a live TV broadcast, when a small robot was sent up one of the "ventilation shafts" inside the Great Pyramid and when a sarcophagus in a tomb in the Workmen’s Village at Giza was opened "live". The DVD includes more than that and covers the history of pyramid building, complete with some passably good "dramatised scenes" of the pyramid being built and life in the Workmen’s Village, aided by good computer graphics. National Geographic is justly famous for the quality of photographs in the monthly magazines and this extends to the films it makes, which are a visual feast (though one might wish that the photographers did not have quite so much a fascination with filming the antiquities at sunrise or sunset – the images might look stunning, but the monuments also look good in full sunlight, the way most visitors actually see them). The film-makers had access to many places rarely visited or filmed, so it was a delight, therefore, to see footage of the interior chambers and corridors of the Step Pyramid at Saqqara and the Bent Pyramid at Dahshur. At Giza there are splendid scenes of the excavations in progress at the Workmen’s Village and inside the Great Pyramid, views of the underground chamber and the rarely-seen "relieving chambers" above the "King’s Chamber". Dr Zahi Hawass and Dr Mark Lehner appear in the programme and tell of their long-term work at the site and plans for the future. Whilst the result of the robot search of the shaft has been publicised, and will, therefore, be known to the viewers, the sense of excitement and discovery still come across, especially with the section on the opening of the sarcophagus. Egypt: Secrets of the Pharaohs is an earlier programme, which features the discoveries at the Workmen’s Village at Giza and looks at how and why the pyramids were built. There are fascinating views of the tombs as they were being uncovered and excavated and also of the excavation of the town area. The few visitors who visit the site today can see little, for the excavations have been back-filled and most of the tombs are not open. The story of the excavation of the boat of Khufu is included, together with scenes of the examination, a few years ago now, of the second boat pit at the site, when a camera was introduced into the still-sealed pit. This is footage that for many will be new. The final part of this DVD looks at mummification, with Dr Bob Brier in Egypt studying mummies and then making a real mummy, using the ancient method, from a donated body in the United States. National Geographic DVDs (and videos) can be bought on-line or in bookshops/DVD shops in the UK. Make sure you obtain films which work on European machines, though some players will also play the American format. The copies I have are both in the American format, but will play on my computer. Price $24.95 (or equivalent in £). The Encyclopaedia is an excellent publication and, whilst aimed at the younger reader, it would also be of use to anyone new to the subject. 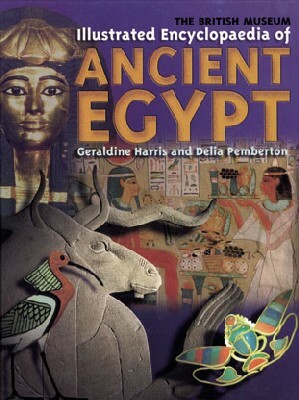 The entries cover a wide range of aspects of ancient Egypt and the entries are clear, concise and accurate. The book is well-illustrated and there are links to the British Museum’s web site, where further information can be obtained. The Atlas is another excellent book for younger readers, which is much more than just an Atlas. Chapters and sections cover the history, geography, religion, art and culture of ancient and indeed more modern Egypt, whilst specific sections look in some detail at places (such as "Spotlight on Thebes", or "Spotlight on Aswan"). Each section is illustrated well with detailed maps, plans and diagrams of temples and tombs. In a relatively slim volume, a wealth of information has been included in this book. Both these books are sure to inspire as well as educate and inform young readers. It is a shame that neither book includes a list of recommended books for further reading. If they inspire readers to want to learn more about Egypt, then some guidance as to which of the hundreds of books available are the most reliable and accurate would be of great use. Both published by the British Museum Press. 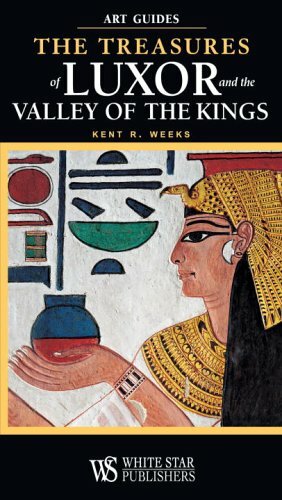 The third edition of this classic reference on the history of the Egyptian Revival reverts to its original title of 1982, but bears a new subtitle. It has been updated and expanded from the second edition of 1994, which is now out of print. As this is not a new book, and since it was widely reviewed in its previous editions, this review will concentrate upon the enhancements and changes that have been made to this invaluable source. At the outset, Prof. Curl acknowledges that there have been peaks of popularity of the Egyptian Revival and Egyptomania in the West that have followed important historical events, such as Napoleon’s Egyptian Campaign (1798-1801) and the discovery of Tutankhamun’s tomb in 1922. He contends that beyond the waves of popularity that arose from external events, inspiration by ancient Egyptian art, architecture and religion had a profound, pervasive and underestimated effect on Roman and Christian civilisations. Such assimilation, although sometimes unwitting, could be argued to make Egyptian contributions to Western design more central than they appear to be. Following the introduction and his premise, the book tracks the history of the Egyptian style from the imperial Roman period through to the present. The third edition has almost doubled in content, now providing 414 pages of text, illustrated by 219 black-andwhite plates and for the first time, 40 colour plates. The Glossary has been expanded from 8 pages to 55. Previously more of a brief architectural reference, the new well-illustrated Glossary retains and expands upon architectural definitions, incorporating many ancient Egyptian terms and concepts. For those who may not have access to a library with alternative Egyptian art and architecture books, or, for example, The Classical Language of Architecture by Sir John Summerson (1980), the Glossary is a useful self-contained reference. Space permits citing no more than a few examples of the significant changes to the book. Chapter I: "Egypt In Europe", sets the stage for the rest of the book. The revised discussion is excellent. It now explains more clearly and thoroughly the history of the Roman appropriation of Egyptian obelisks and what the obelisk symbolised in antiquity. New illustrations for this chapter include photographs of most of the original Egyptian obelisks in Rome. 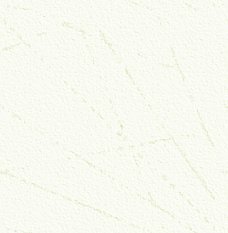 Illustrations and captions for various Egyptian and Graeco-Egyptian motifs (e.g. the winged sun-disc and capitals) which which were formerly integrated within the text have been moved to the Glossary. Not much that is new appears about the impact of Napoleon on the nineteenth century French Egyptian Revival in Chapter VI, although Curl lists some of the recent relevant publications in the extensive bibliography. Chapter VIII: Funerary Architecture, has profited from Prof. Curl’s recent publication The Victorian Celebration of Death (2000 and 2004) and Kensal Green Cemetery (2001), which he edited and contributed to. Many new illustrations complement the text. Alas, no further details have been added about the fantastic Egyptianising at Père Lachaise Cemetery in Paris. The chapter about the twentieth century has been updated and many of the important structures, such as Adelaide House on London Bridge, are now illustrated. A new Postscript chapter provides the final comments. The return of The Egyptian Revival is most welcome. For many readers it will be sufficiently comprehensive to serve as the definitive reference. For the more serious student, Prof. Curl’s authoritative book, with its lavish illustrations, copious footnotes and careful indexing, provides clues and directions for more detailed studies. 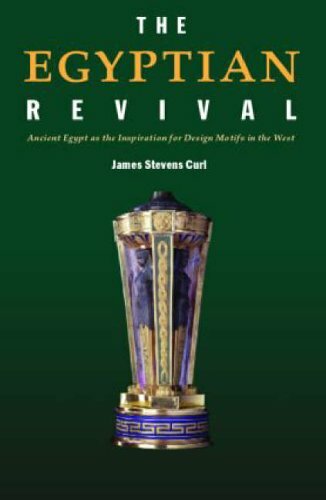 As one whose research has been much aided by close reading of the second edition, I can heartily recommend this third edition to anyone who is interested in learning about the Egyptian Revival. Cathie Bryan Cathie is a regular contributor to AE and has a special interest in Egyptianising architecture. Hardback, ISBN 0-415-36119-2, Price £80. Paperback, ISBN 0-415-36118-4, Price around £25.